DAVID LE/Staff Photo. 2/12/15. 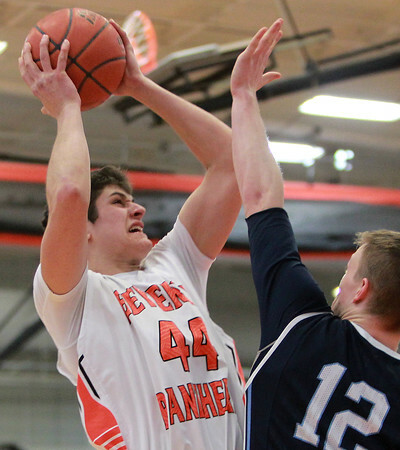 Beverly senior captain Gavin Sparkman (44) shoots a jumper over Peabody senior forward David Hoar (12).